LAHORE: (Tuesday, December 18, 2017): Renowned religious scholar Maulana Munir Ahmed Yousafi has said that Islam has nothing to do with terrorism as Islam even teaches to love animals. He said that the people who are killing innocent people have no connection with Islam. 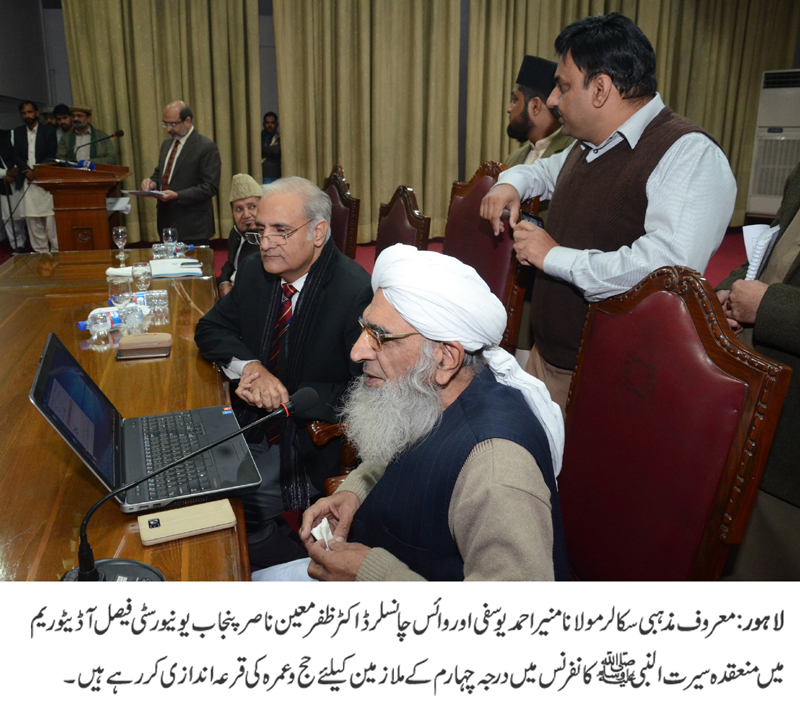 He was addressing Seerat-ul-Nabi conference organized by registrar office at Faisal Auditorium here on Tuesday. PU Vice Chancellor Prof Dr Zafar Moeen Nasir, Registrar Dr Muhammad Khalid Khan, Resident Officer 1 Iftikhar Muhammad Chaudhry, Dean Faculty of Life Sciecnes Prof Dr Muhammad Naeem Khan, Dean Faculty of Islamic Studis Prof Dr Tahira Basharat, Dean Faculty of Oriental Learning Prof Dr Muhammad Saleem Mazhar, Prof Dr Muhammad Fakhar-ul-Haq Noori, faculty & administrative members and a large number of employees were present on the occasion. Addressing the conference, Maulana Munir Ahmed Yousafi said that the life of Hazrat Muhammad (SAW) was the best example for us to follow in all the aspects of our life. He said that Hazrat Muhammad (SAW) for the first time empowered women and gave them their rights. He said that Hazrat Muhammad (SAW) advised us not to usurp others’ rights. 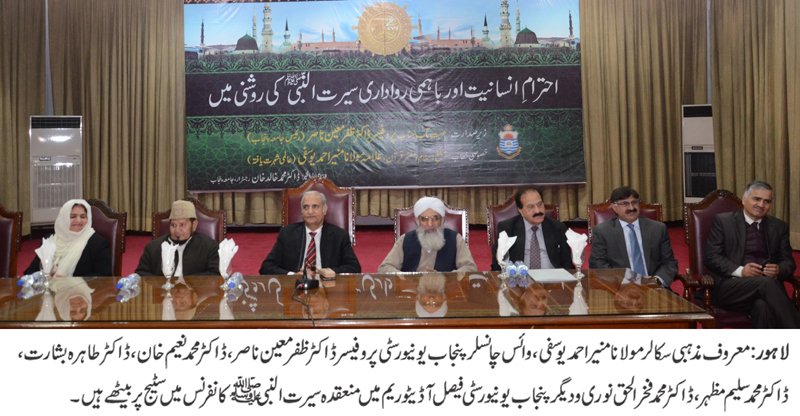 Addressing the conference, PU VC Dr Zafar Moeen Nasir said that we needed to implement teachings of Hazrat Muhammad (SAW) in our daily life. He advised the participants to respect each other. 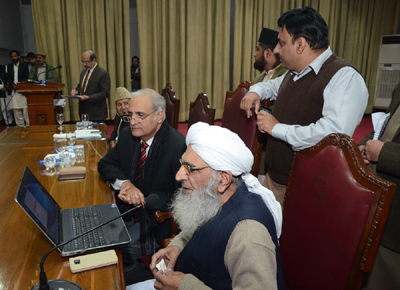 Later, as per PU VC Dr Zafar Moeen Nasir’s initiative to restore Haj and Ummrah scheme for university employees, four university employees from grade 1 to 4 were selected through draw. They include armed guard Ghulam Abbas, chowkedar Muhammad Naveed, chowkedar Muzamil Hussain and Naib Qasid Sadia Yousaf. All the employees thanked PU VC Dr Zafar Moeen Nasir for his act of kindness and restoring Haj and Ummrah scheme for poor university employees.